J. Elise Designs - One of a kind jewelry and the original Crazy Clock! 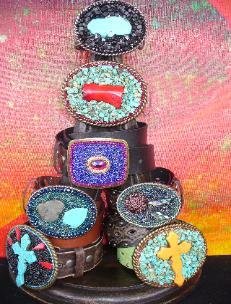 Your Home for one of a kind and custom jewelry! and precious metals including sterling silver and gold vermeil. Visit our Gallery to view our designs. MAILING LIST! If you would like to be on our mailing list, please click here. If you would like to receive our pretty postcards, be sure to include a street address.